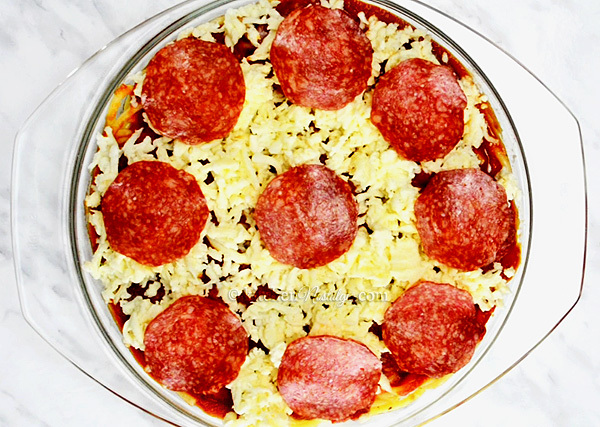 Spaghizza = spaghetti + pizza = pizza style baked spaghetti casserole! Spaghizza recipe caught my eye on the internet about a year ago. 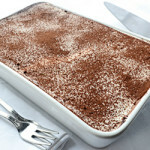 It was a guest post from Brigette Shevy on moneysavingmom.com . 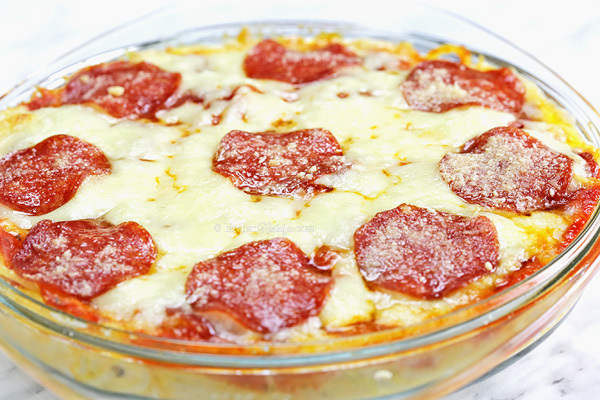 It is an interesting combination of pizza style baked spaghetti casserole. Day before yesterday I finally had some time to experiment and try this new recipe out. I didn’t need whole 8 servings so I halved the recipe. 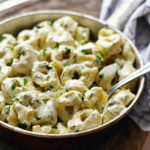 This turned to be a frugal, freezable weeknight dinner recipe. 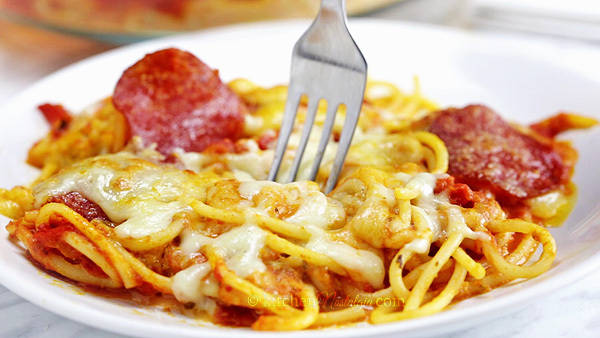 I’m sure all kids will be delighted with it since it combines two of their favorite dishes – spaghetti and pizza. 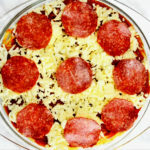 You can try using different ingredients like your favorite sauces, cheese mixtures ad pizza toppings. 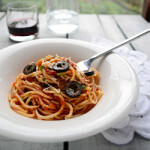 Variations are endless and I’m pretty sure you cannot go wrong with Spaghizza recipe. Cook the spaghetti until al dente. Rinse and drain well. In a large bowl, whisk eggs with milk, Parmesan cheese, oregano, garlic and pepper. Add spaghetti and toss to coat. Transfer to a greased 8x8 inch pan or shallow 9 inch round pan. Top with the spaghetti sauce and half of the pepperoni. Sprinkle with the shredded mozzarella cheese. Top with remaining pepperoni. 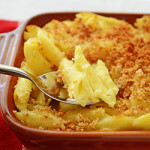 Sprinkle with more Parmesan cheese (optional). Bake for about 25 minutes in 375 F (190 C) oven. Let sit 5-10 minutes before cutting. Oh my this looks yummy!! I should try making this, thank you for sharing!